Commencing in Spring 2016; works were undertaken to build a new car park and develop the access area surrounding Workington Railway Station, on behalf of Cumbria County Council. The scheme aims to encourage sustainable travel along the Cumbrian Coast and improve access to both Workington Railway Station and the Cumbrian Coast railway line. As well as encouraging rail travel, the project also serves to reduce traffic and create a more attractive appeal to the town. 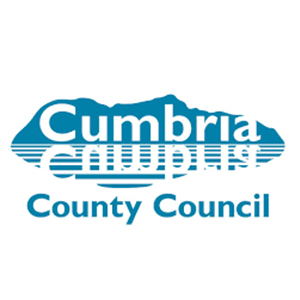 Story Contracting worked in collaboration with Cumbria County Council to deliver the scheme, which received £3.08m of funding from the Department for Transport (DfT) in April 2015. The site covers an area of land approximately 1.0Ha. between the Cumbrian Coast railway line and the A597, immediately east and south of Workington Railway Station in Belle Isle Place. Work began in April with testing to determine the extent of contaminated ground in order to agree the required earthworks treatment for the construction of the new car park. Work was also progressively carried out to widen the A597 to create a right turning lane for the new access road. As part of the planning consent a drainage attenuation system has to be created to collect all surface water and pump it to Soapery Beck by installation of a new pumping station. Once the new car park was completed we were able to begin environmental enhancement work outside the station. This involved the use of conservation paving and the installation of several features and facilities. Towards the end of the scheme, additional work was requested to widen the existing footpath alongside the A597 and create a shared cycleway to further promote the use of the new transport hub. The construction of Workington Transport Hub was a challenge due to contaminated ground, delays in obtaining access to part of the site and a number of design changes. Through collaborative working and careful re-programming, significant progress was maintained through a phased opening of the new car park. Following completition of final paving and landscaping work, the Workington Rail Transport Hub became fully operational and open to the public from Friday 24th March 2017. The redevelopment of the former good yards at Workington into a Transport Hub presented a number of construction challenges relating to ground contamination and drainage. With the support of Story Contracting, the project was completed in a safe and professional manner with minimal disruption to the ongoing operation of the railway.